We use a card back and an acetate front for our standard wire o bind but it is not uncommon to have encapsulated or laminated front and back covers. To minimise the view of the wire we offer the Half Canadian Bound wire o bound option. Half Canadian Binding: - As with the standard wire o binding, there are a number of leaves with a 4pp cover and a spine which can be printed on to give the appearance of a paperback book. This allows the book to be opened completely flat without damaging the spine. The wire is exposed through the rear cover only, leaving the front cover clear to display the printed image which partially conceals the wire behind a square spine. Call us on 0115 895 0132 or click here and send us your details. 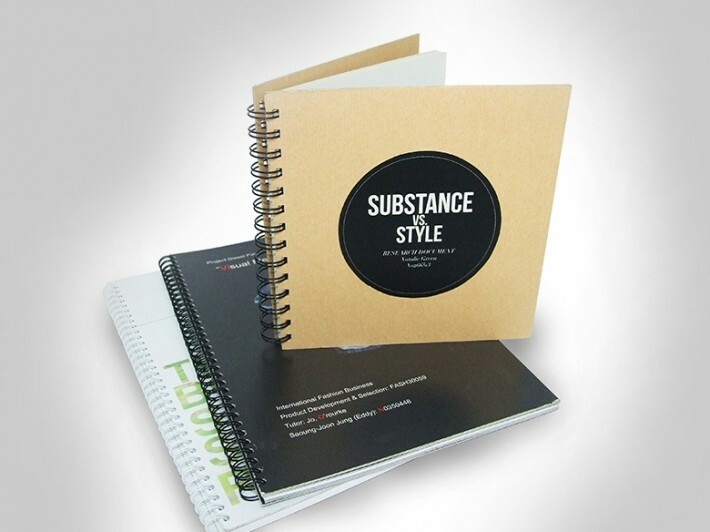 How would you like to design your Wirebound Books?